When was the last time you have had your teeth checked? If it has been years ago, when you last visited your dentist for a checkup, then it is high time that you should. You may have wondered if oral health is important to your general well-being. 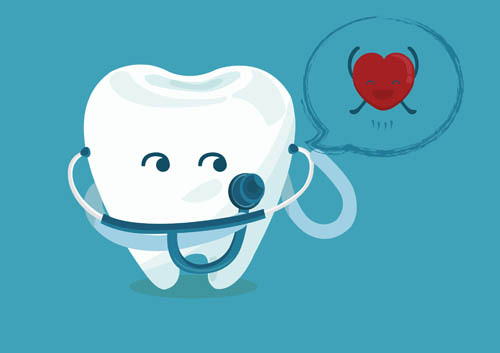 Let’s find out just how is our oral health problems are connected to our overall health. The condition of our oral health has a huge impact on our overall health. Just like different parts of the body, the mouth is a breeding ground for bacteria (good or bad) because of the moist and warm environment that’s just perfect for the proliferation of bacteria. At the time of this writing, Valentine’s day is fast approaching, with Easter following shortly thereafter for many of us. These are holidays that are typically celebrated with lots of candy and sweets (especially chocolate) and that means one thing: lots of sugar on your teeth. Sugar is extremely tough on your teeth and gums, particularly in large amounts. Sugar can not only give oral bacteria something to feed on, but it effectively turbocharges them by providing an ideal food source. As bacteria feed on sugars, they create acids which leech minerals from tooth enamel, which can lead to infections, disease, and eventually cavities.